XTZ is a Swedish company and a relatively new name in hifi, at least I hadn't heard of them. They have a surprisingly broad range of products available, including an amplifier, a CD player, cables and a whole range of loudspeakers. All of these are extremely affordable, mostly because they are produced in China and also because XTZ sells their products online, cutting out the middle man. For this reason they offer a 'buy and try' option, allowing you to return the product within 3 weeks if you don't like it. A good example of a modern hifi company, I guess. 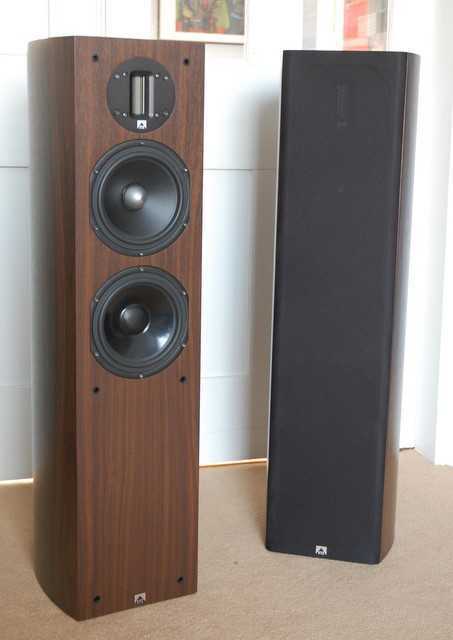 I decided to try the 99.36 floorstanding loudspeakers, as they were closest in design to my own Dynaudio Contour 1.8 mk2 speakers, and only half the price. These speakers offer remarkable value for money, with some very classy drivers and nice, elliptic, cabinets. The finish is vinyl, and not real wood, but that is only to be expected for a speaker this size and price. Still, they don't look bad at all and the curved sides are rather attractive. These speakers are a 2.5 way system, with the top two speaker units and their cross-over identical to the stand mount 99.26 speaker. 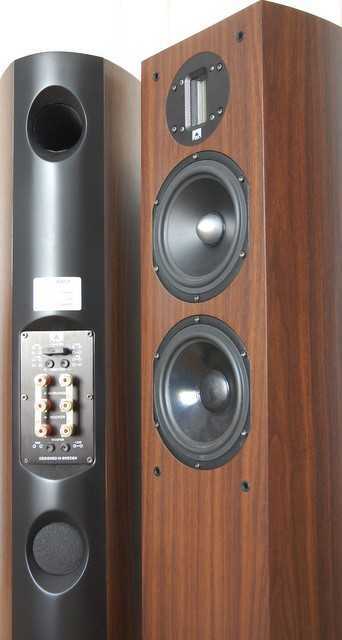 Even the enclosure is the same as for the smaller speaker, because these floorstanders actually have a partition between the top section and the additional bass cabinet. Both sections are ported. The tweeter is a very nice ribbon model, made in China by Fountek and said to reach to 40 kHz. The other two drivers, both 6.5 inch, are made by Norwegian specialist SEAS. The mid-bass driver is a very fancy one, from the famous SEAS Excel range, with a phase plug and a coated magnesium cone. The bass driver has a coated paper cone. At the back you will find quite a bit more that usual. Not only are there three pairs of terminals, but also three ports and three sets of sockets for jumper connectors that allow adjusting the volume of both the tweeter as well as the lower bass driver. Three foam plugs are also supplied that can be used in the bass ports. The lower two ports are for the bass driver and the upper port connects to the mid-bass enclosure. All of this makes these speakers extremely adjustable. The total number of possibilities is very large indeed: theoretically about 50 different settings are available, although many of these will not make sense in most cases. The enclosures are slightly lower than my Dynaudios, at just over 90 cm. Weight wise these speakers are actually well below average, or at least below expectation, at less than 20 kg. The panels are not very thick, but I suppose the curves should suppress resonance. There are no spikes underneath, just 4 small rubber feet. The speaker will actually move a tiny bit, when pushed, even on my granite plinths. The sources used were my Astin Trew AT3500 CD player, upgraded with EAT valve, or the Yamamoto DAC that was under review at the time. Amplification was either my Django preamp with the Creek Destiny power amp, or the Astin Trew AT2000plus integrated amplifier. From the very first moment it immediately became clear that these speakers produce a lot of bass and will benefit from a powerful amp that is capable of controlling them. I started with the recommended 'neutral' setup: all ports plugged and no jumpers present. According to XTZ this should produce a flat response. In my listening room, which isn't very big, there was a lot of deep bass and quite a bit of top end present. The midrange seemed slightly cool and clinical in comparison. When I turned the volume up the sound became unbearably boomy. Sadly, the jumpers at the back only enable you to turn the bass up, and with both bass ports already plugged there was no possibility to reduce the bass any further. I suspected that my old wooden floor was partly responsible, so I ordered a pair of granite plinths for the speakers to sit on. This made a difference, with bass now better controlled and less 'whompy'. It was still a bit much for my room, but at least bearable. The top end was tamed by turning the tweeter down by 2 dB and the midrange was given a bit more body by removing the plug from the upper port. This was the configuration that worked best in the end, and it was used for most of the time. These speakers have clearly been designed to be full-range and they indeed extend all the way from very deep bass to the highest treble. As far as I'm concerned the effort has been most successful at the top end. That ribbon unit definitely is a good tweeter. It produces a lot of detail, but without being harsh or edgy. Quality electronics are required, as this tweeter can easily expose a lesser CD player or grainy amplification. The extension at the other, lower end is a little bit less to my liking. It goes deep indeed, but it is also a bit slow and not as controlled as I would like it to be. Even the excellent Creek Destiny power amp wasn't able to keep the bass under control. I'd prefer less extension and more texture to the lower regions, to be honest. For a speaker of this price the bass isn't bad at all, actually, but ultimately is still is a compromise, which means not everyone might agree with it. All of this means that you will need a powerful amplifier, that has very good bass control and behaves itself in the higher frequencies. The Creek Destiny worked a bit better than the AT2000 in controlling the bass, but the AT2000 was somewhat sweeter at the top end. Both amps are considerably more expensive than these speakers. The midrange has perhaps the most ambitious driver and XTZ claim this is one of the best midrange units available. Certainly, it produces very good detail and dynamics, but also sounds a little bit rough and dry to my ears. There's a hint of hardness in the upper midrange at higher volumes, perhaps due to some mild break up, which is exposed by the relatively clean sound of the ribbon. I also suspect there might be an integration problem between the bass and the midrange units. The sound is slightly dry and inexpressive in the upper bass, lower midrange region. Removing the plug from the upper port helps, but doesn't solve the problem completely. At some point I was listening to solo piano and found that the instrument lacked weight and impact. I decided to remove both the lower bass port plugs to see what difference that would make. It transformed the sound, with the piano now full-bodied with real physical presence. It did feel as if the instrument was finally allowed to breathe. For the duration of a single CD I was actually quite impressed with the XTZ speakers. Piano is a very difficult instrument to reproduce correctly and they were doing a decent job at it. Sadly, the moment I played another CD the bass was far too heavy and I had to re-insert the plugs very quickly again. This made the amount of deep bass bearable again, but returned the stark and anaemic midbass. I do suspect that these speakers might work a lot better in a larger room. But, to be fair, my room isn't that small, about 20 square meters, and my own Dynaudio speakers produce quite copious amounts of bass too, without any problems. For a speaker with so many adjustments one would hope that there would be a setting that makes it usable in my listening room, but sadly there doesn't seem to be one. These speakers certainly offer a lot for the money. They can sound impressive, but they will need a good source, a big amp, a big room and a solid floor to sit on. 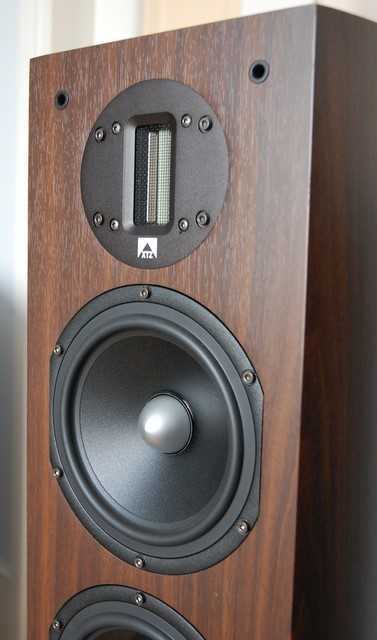 Even then, they do lack refinement and coherence and ultimately offer more hifi than music. I didn't find them very rewarding in the end, but I do think they will work better in a bigger room. At least XTZ's 'buy and try' option means the risk is low.